The Massachusetts workers' compensation system was put in place to make it easier for employees to collect benefits in the event of a job-related injury or illness. Several different types of benefits may be available, including reimbursement for medical expenses, loss of function or scarring, and disability benefits. Disability benefits can be temporary or permanent and partial or total. These benefits are less than what a worker would earn if he or she were able to keep working, but they are supposed to be awarded without consideration of fault. As a claimant gets older, he or she may be concerned about choosing between workers' compensation benefits and pension benefits. These rules are extremely complicated for certain public employees, and you may want to discuss your situation with the Boston workers' compensation lawyers at Pulgini & Norton. The amount of disability benefits is calculated based on an injured employee's average weekly wage. Except in certain circumstances involving public works, fringe benefits such as pensions provided by employers are not included in employee earnings in order to calculate average weekly wages. Under Section 69 of the Massachusetts workers' compensation law, the Commonwealth and certain other governmental entities that have the power of taxation are supposed to pay workers' compensation benefits to injured laborers, workmen, nurses, and mechanics, just as private employers are. 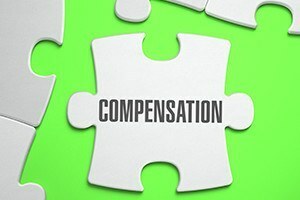 The compensation for an injured employee or the family of a dead employee is based on the employee's average weekly wages plus $30 per week in lieu of full maintenance. However, the party in control of the institution where the employee works has discretion as to whether that maintenance should be continued during total disability. If it is, the weekly compensation is based only on the employee's cash salary or wages. The cash salary or wages are not to be paid by these entities for any period in which weekly total disability compensation is payable with exceptions. These exceptions can be overruled through a collective bargaining agreement. Anyone who is entitled to receive compensation under Section 69 is subject to Section 73. Under Section 73, employees who are covered by Section 69 and certain other sections involving governmental entities, and who are also entitled to a pension because of the same injury, must choose between these benefits. They cannot receive both types except in special circumstances, such as when the employee was undergoing a hazard when he or she suffered the injury, or during the period in which he or she is receiving weekly payments for total incapacity. When a claimant receives a pension by special act for the same injury, he or she forfeits claims for compensation. Any compensation already received can be recovered by the governmental entity. If you are claiming workers' compensation benefits and are entitled to a pension, you should consult a workplace accident attorney about whether you will need to choose between those two systems. Public employees in Massachusetts may also be eligible for accidental disability retirement benefits. At Pulgini & Norton, our Boston workers’ compensation attorneys represent injured individuals in Cambridge, Weymouth, Andover, and other cities in Massachusetts. Call us at 781-843-2200 or contact us via our online form for a free consultation.